12/15 - Controled Burn – Delmar Md. 11/02 - MVA w/ Rescue – Parsonsburg Md. 11/01 - Haz-Mat Incident in front of a School – Salisbury Md. 10/27 - Truck Fire – Delmar Del. 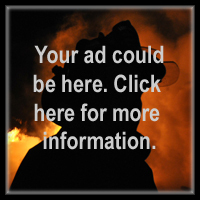 09/15 - Working Structure Fire – Nanticoke Md. 09/06 - MVC w/ Rescue – Delmar Md. 08/17 - MVC with Rescue – Delmar Md.